I understand that by clicking the button below, I will automatically be put on a recurring, $47 per quarter (3 months) billing cycle for M4 Insider Gold, which I can cancel at anytime. Please carefully read the following disclosures, policies, and disclaimers. You must click the checkbox of this agreement before you can proceed with your order. 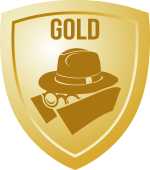 M4 Research, LLC, is the publisher of multiple exclusive memberships and products, including M4 Insider and Precious Metals Investigator; and, various Premium Reports, including The Renegade Money Guide – Full Throttle, Auto-FX Explorer, and Crypto Cash Cow. We, along with our partners, editors, and affiliates, ONLY offer education, contacts, ideas, research — in other words, our own unique ‘rolodex’ of money-growing resources. We don’t — and, legally can’t — make any recommendations as to what you should do with your money… nor, can we guarantee your success in any venture. We’re not brokers, money managers, or licensed / registered financial advisors. Some of the information inside our member area is of a very confidential nature. You MAY VERBALLY share it with your immediate family and personal advisors, if you choose. However, you may NOT share it with anyone by copying it, printing it, or otherwise disseminating it in written form. The content inside our member area is copyrighted material and may not be made available to any person or entity who does not have a paid and active M4 membership. You’re accessing an information archive of very progressive, unusual, and incredibly unique money-growing and money-saving resources. Each membership is similar to a magazine subscription, in the sense that NEW information will be given out as it’s discovered, researched, tested, and written about, in the future. However, unlike a magazine, our memberships may have an irregular publication schedule. There is no guarantee that a certain amount of information will be published in any given timeframe. By joining us, you understand that our memberships are NOT something that you should expect to give you the magic pill to riches without some investment of time, money, and effort in the game first. ALWAYS REMEMBER: There’s never a money problem; just an idea, creativity, and execution problem. And, of course, knowing the right people and getting the right information at the right time doesn’t hurt, either. This is the BIG value-add of being one of our M4 members. NOTE: Any breach of this agreement may result in the immediate termination of your membership and access to your online member’s area. The term of this Agreement shall be ongoing commencing from the date of your initial subscription and would only expire upon the expiration of any copyrighted material on the web site. We’re so confident you’ll find value in this report that we’re offering a 100% money-back guarantee. Your purchase is fully guaranteed for up to 60 days, as long as you put forth self-accountable efforts in using and implementing the programs, resources, tools and contacts presented to you within your members’ area. Please do not invest in one of our memberships if you’re looking for ‘instant riches’ within days of joining. You have to work to succeed in anything (especially finances, money, and investing), and we’re neither going to hide nor apologize for that. We cannot issue a ​refund​ if you haven’t made an honest effort to study and utilize the material and resources available… or, if you’re simply looking to quit without asking for help and guidance. We’d like you to keep your membership(s) if you’re committed to building wealth, and bringing in PASSIVE income. The resources, contacts, and investment vehicles are not to be entered into casually. Bottom line: We will only issue refunds to members who can show us evidence that they have utilized the material and resources available. If you, for some rare reason, end up being one of these members and, at the 60-day mark, are still not convinced you can make back 10 times more than your minimal purchase price, let us know. I understand that any subscription fee I pay to be an active member gives me access to your research ONLY — this includes your education, contacts, ideas, and investment reviews and commentary. I understand that you don’t DIRECTLY operate or manage an investment program or investment club, and that if I want to invest in IVs (Investment Vehicles) that you present to me, I must have the necessary investment capital, above and beyond my membership and / or report fees. I understand that the results I may have seen from your marketing communications, or will see from you via some of your endorsements and ideas, don’t guarantee I’ll get the same results. I also know that losses do occur and that, in the end, depending on market conditions, and how I manage my finances, I may not make any money at all. I understand that I’m fully accountable for my actions, as well as my own attitude and open mind towards what I find inside your private inner-circle member area. I understand that all memberships (excluding M4i Platinum) require a recurring subcription fee in order to keep my access active. This means, for my convenience, I will be billed automatically until I cancel. The purchase of any of our products or memberships signifies consent to the above agreements. * NOTE: Please use the same email you that you have registered in our membership system. If you do not have a confirmed email and credit card on file, you will not be able to take advantage of this offer. I’ll have the next 60 days to check everything out behind the scenes. If near the 60-day mark I decide this just isn’t for me, I’ll receive a full refund. M4 Research, LLC takes your credit card security seriously. To provide an extra level of security, the billing address you enter in the order form will be validated against your credit card billing address. A mismatch will cause your credit card authorization to fail. 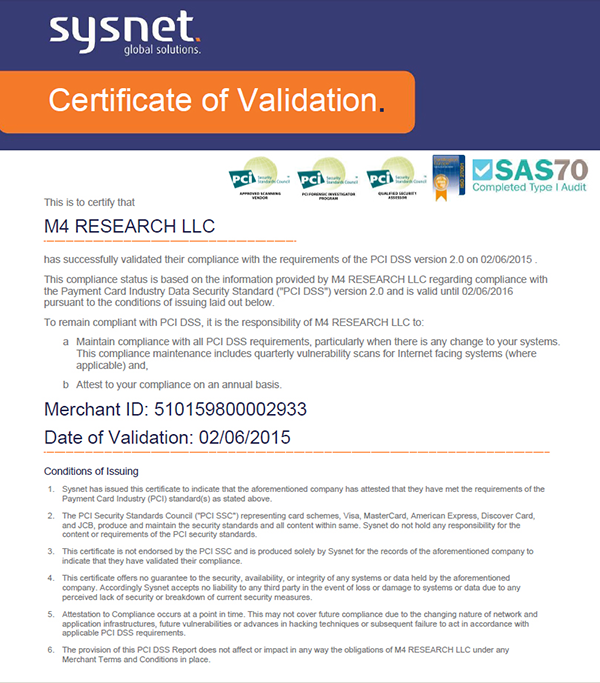 Your bank statement will show a charge by M4RESEARCH.COM.